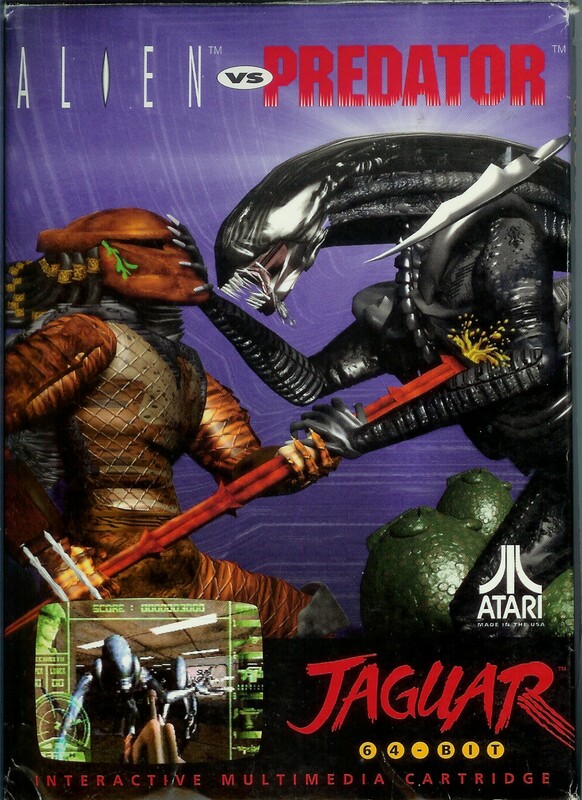 Atari released the Jaguar system in late 1993. It used cartridges and had a CD add-on. 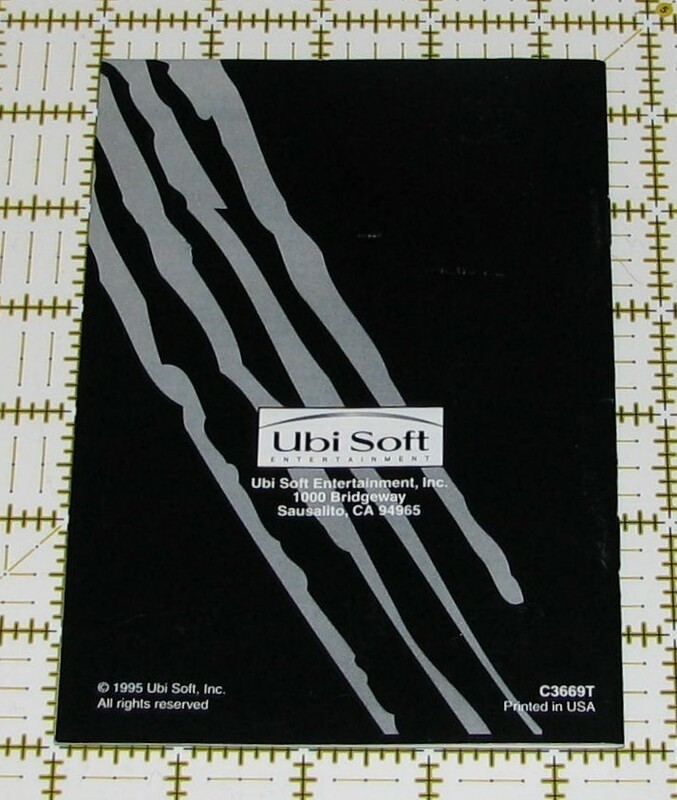 It claimed to be a "64-bit machine" and was capable of 3D graphics. 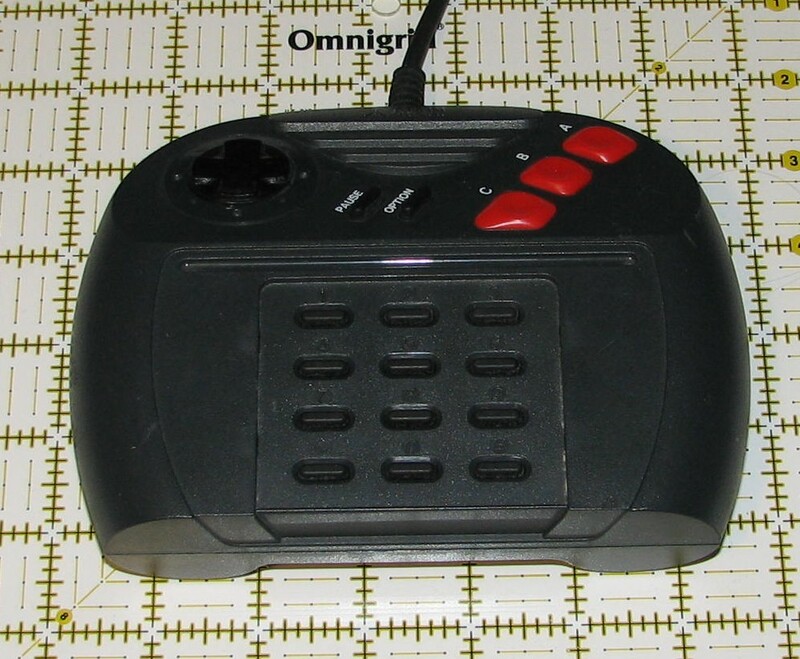 It had large controllers with a D-pad, three action buttons, two secondary buttons, and a 12-button keypad, which accepted overlays. 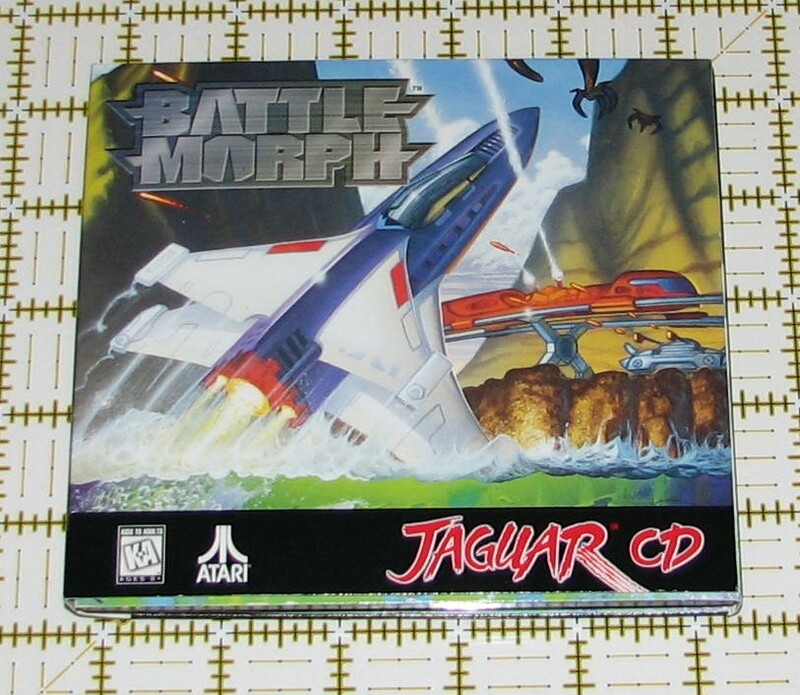 Its pack-in game was Cybermorph, a 3D flight shooter. Overall, the console was a dismal failure and brought about the downfall of the once-mighty Atari. 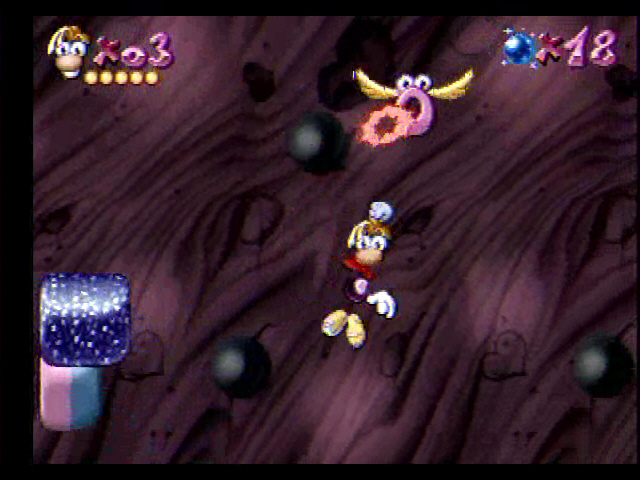 The red power button located center-front on the top of the console is the only button on the console. Just below the power switch is a red power indicator LED. 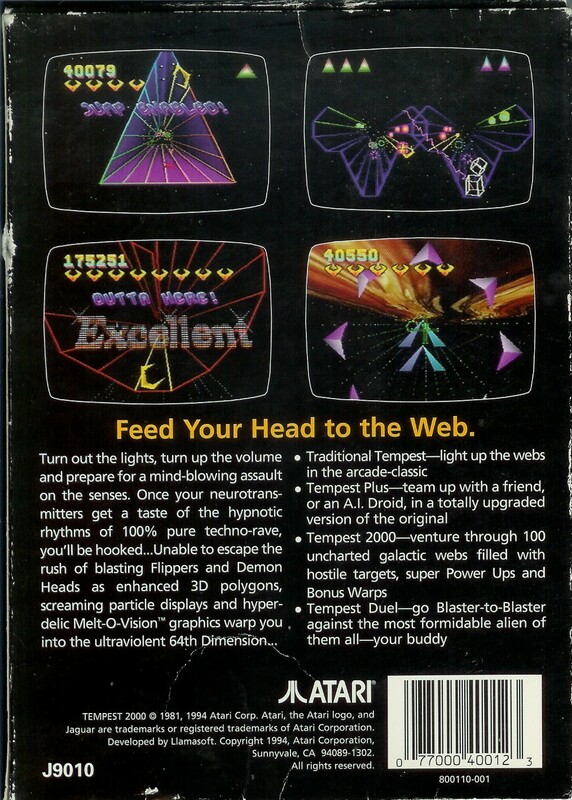 Along the front edge is the Atari logo and the words "64-BIT INTERACTIVE MULTIMEDIA SYSTEM". 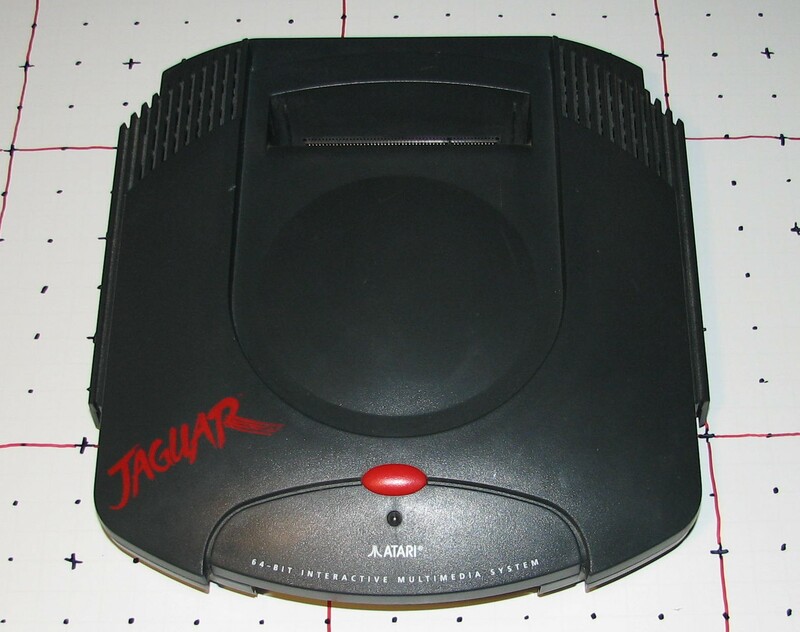 The red "Jaguar" text logo is on the front left corner of the top of the system. 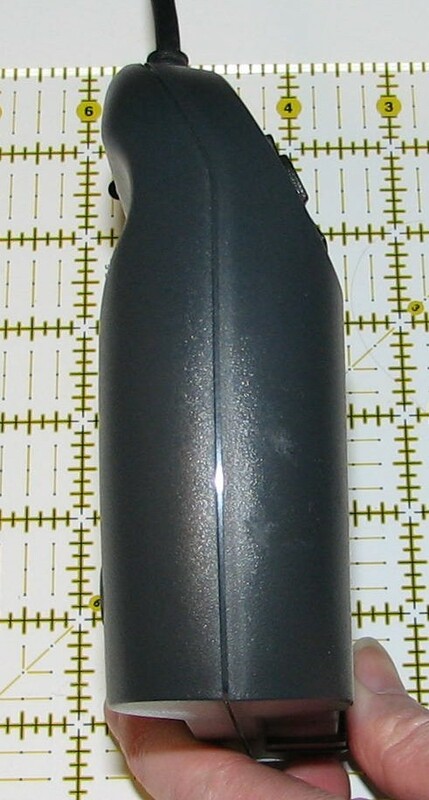 There is a 4.25 inch (11 cm) dome in the center of the top of the console. 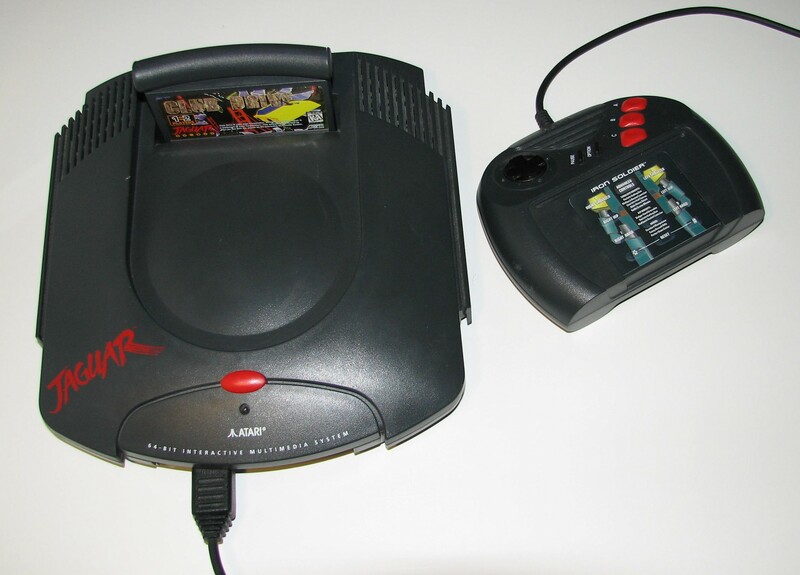 The cartridge slot is located toward the rear of the top of the system. 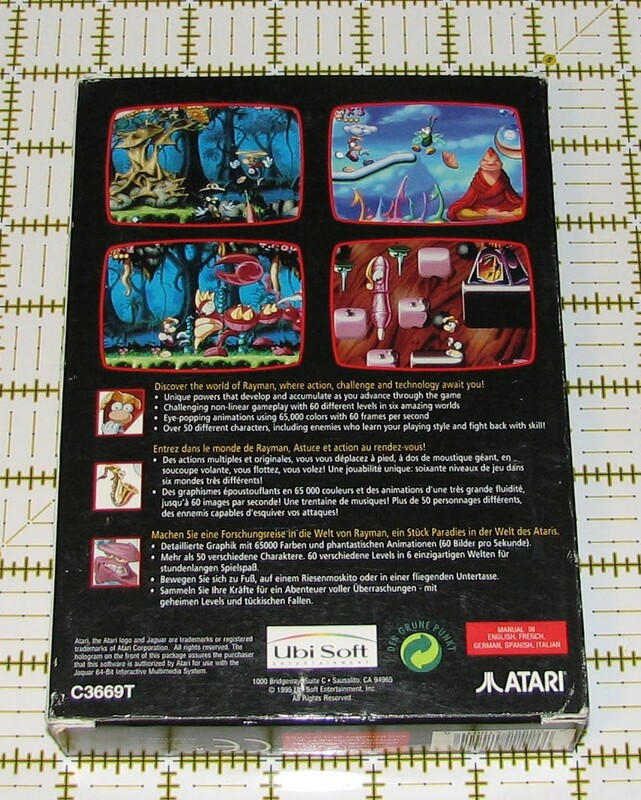 The front edge of the console has controller ports 1 and 2, with the Atari logo between them. 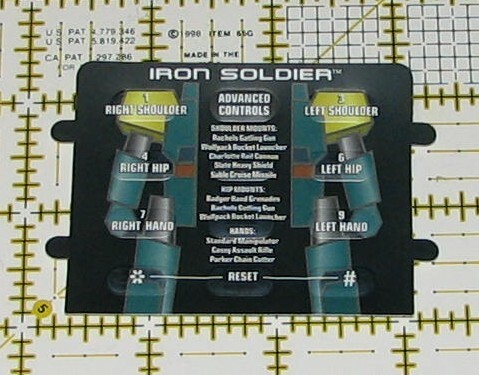 There is nothing located on either the left or right sides of the unit. 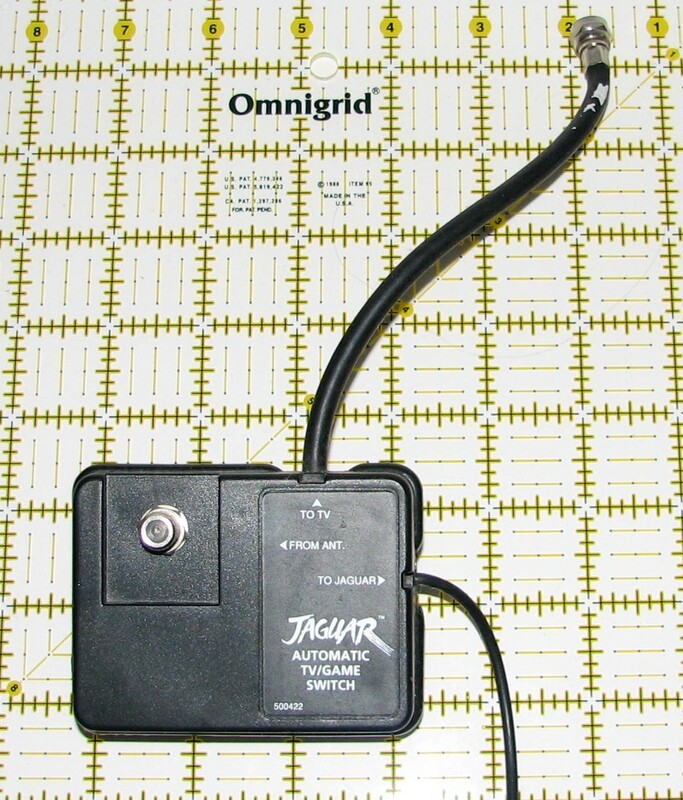 The back of the unit has, from left to right, the power connector, a DSP/communication port, an AV port for composite or S-Video connections, the Channel 3/4 switch (labeled "L" and "H"), and an RCA connector for the RF signal. 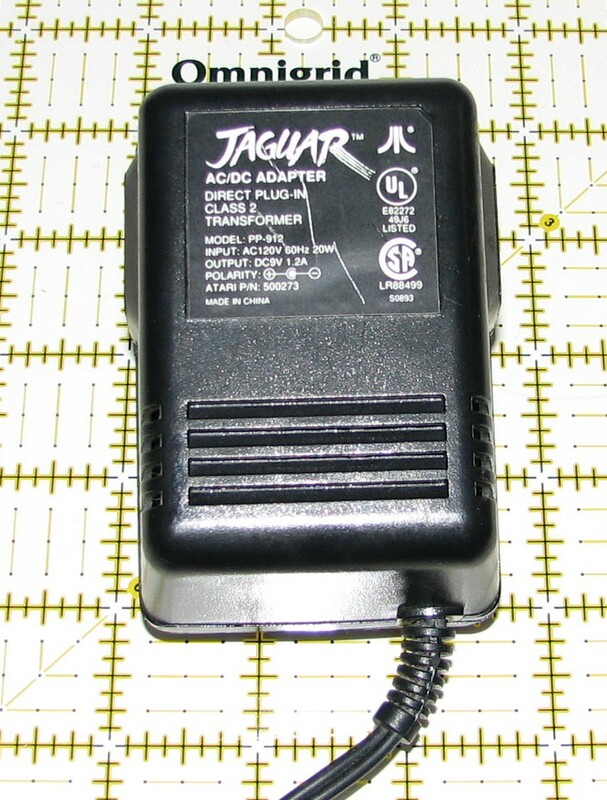 The bottom of the unit has a label with the Jaguar text logo, the FCC compliance text, patent nos. 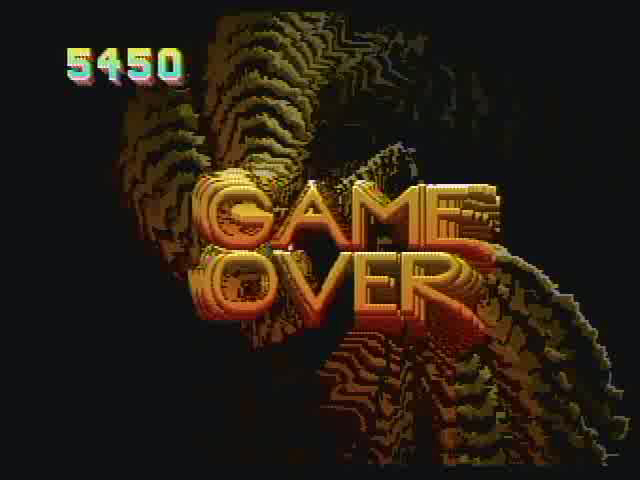 4,045,789 and 4,471,465, a serial number with barcode, and the following other information: "Atari Jaguar FCC ID: EBAJ8001 Atari Corporation Made In The U.S.A Atari Corporation, Sunnyvale, California, USA, 94086" When booting a game, the music that plays after the Atari letters spin into place is a version of the Atari theme song, "Have You Played Atari Today", sometimes heard in promotional materials for 2600 games. 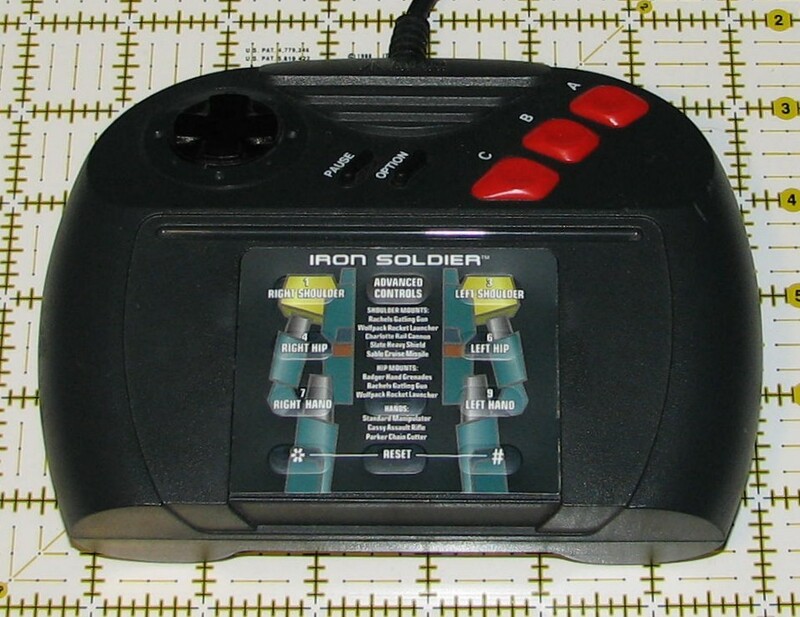 The front of the controller has a black 8-way D-Pad, two secondary black buttons labeled "PAUSE" and "OPTION", and three red primary action buttons labeled "A", "B", and "C", with "A" being the top-rightmost button and "C" being the bottom-leftmost button. The "B" button has a small raised bump. All three buttons have a circular indention that's the same size, but the entire button is a different size and shape for each button. The D-Pad and "A", "B", and "C" buttons are all hard plastic. "PAUSE" and "OPTION" are soft rubber. 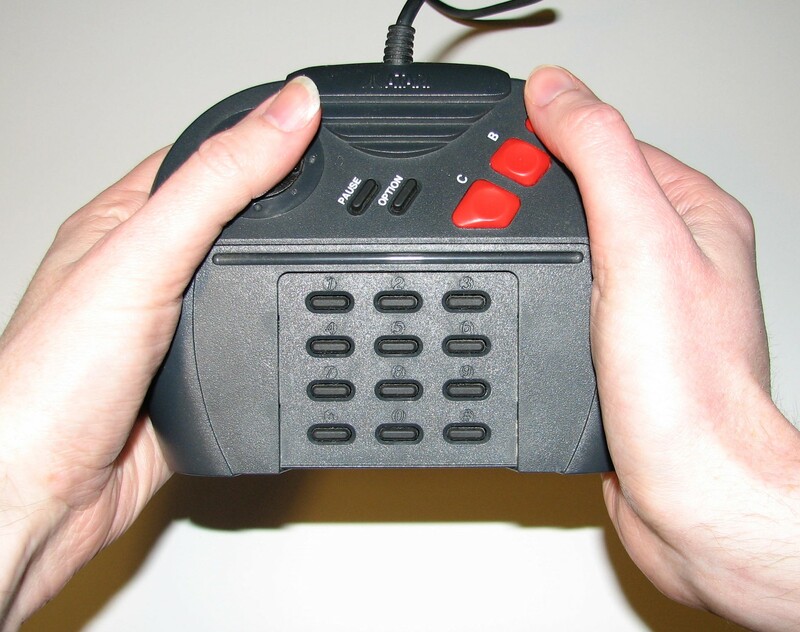 The center of the controller is taken up by a large 12 button keypad. The keypad is laid out like a telephone, complete with "*" and "#" keys. The keys on the keypad are soft rubber and have their number etched into the plastic case above them. 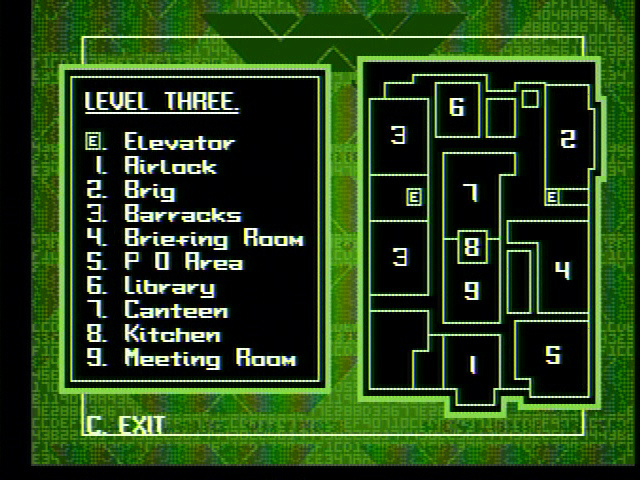 The keypad also accepts a control overlay which came with certain games and contained labels for what each of the buttons on the keypad did. 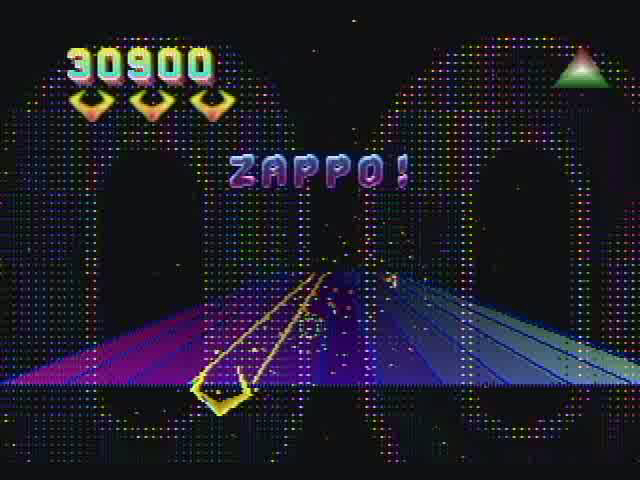 The Atari logo is visible toward the top of the controller, near where the cord connects. 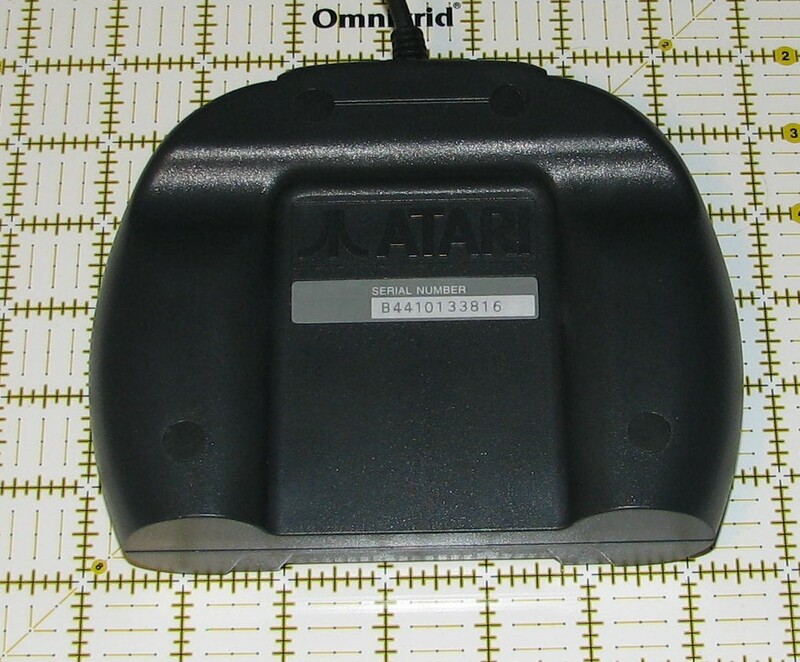 The back of the controller has the Atari logo and a serial number. 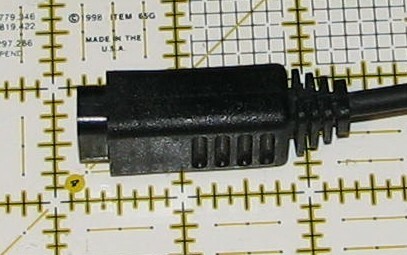 The connector has 12 pins laid out in three rows, but the jack on the console has space for 15 pins. 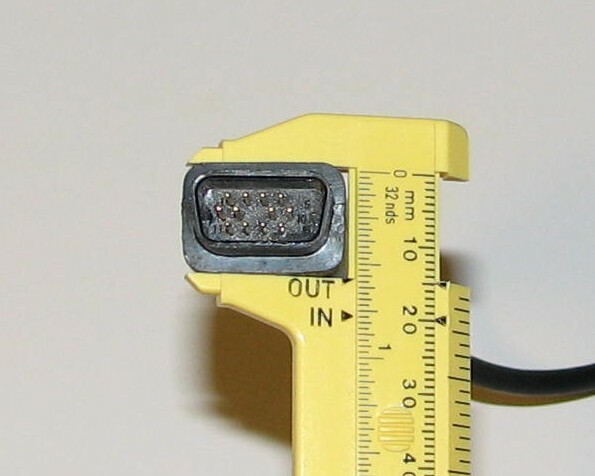 The connector is the same size and shape as a standard VGA Monitor cable. 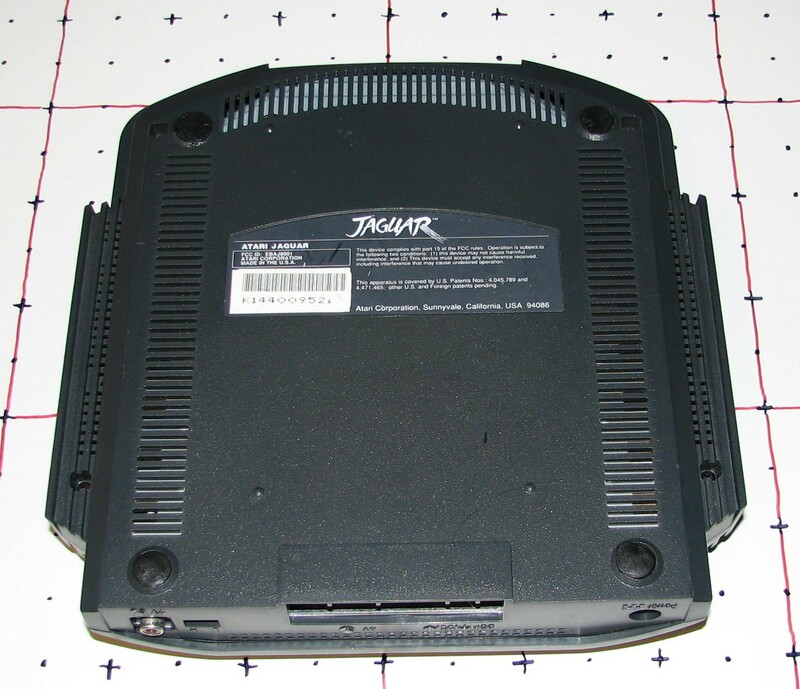 The standard Jaguar cartridge is black plastic. 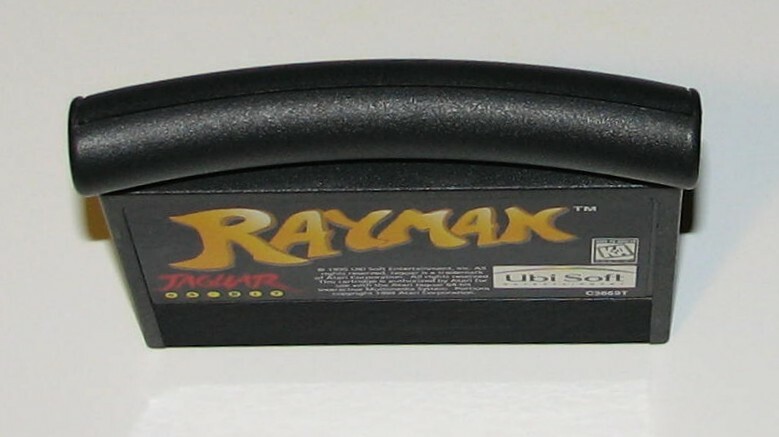 The main section of the cartridge is roughtly the same size as a Sega Genesis cartridge, but there is a curved, cylindrical handle attached to the top. 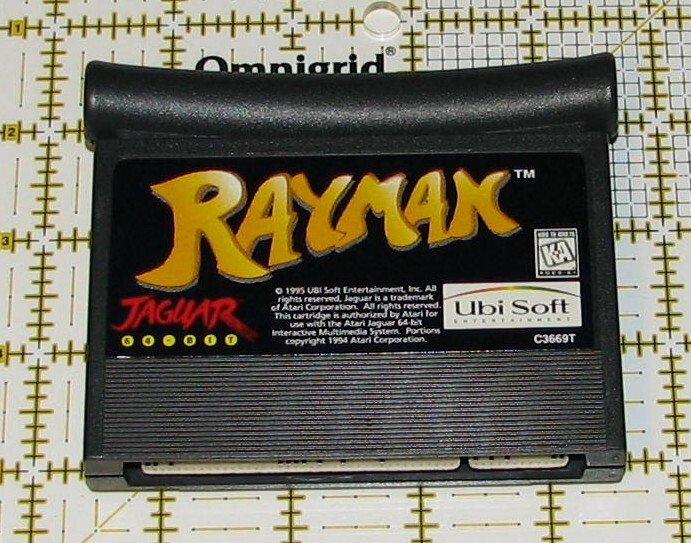 The label design varies with each cartridge, but it will typically have the "Jaguar 64-BIT" logo in the lower left corner, as well as the part number, copyright/licensing information, and ESRB rating, if present (Usually on the right side). 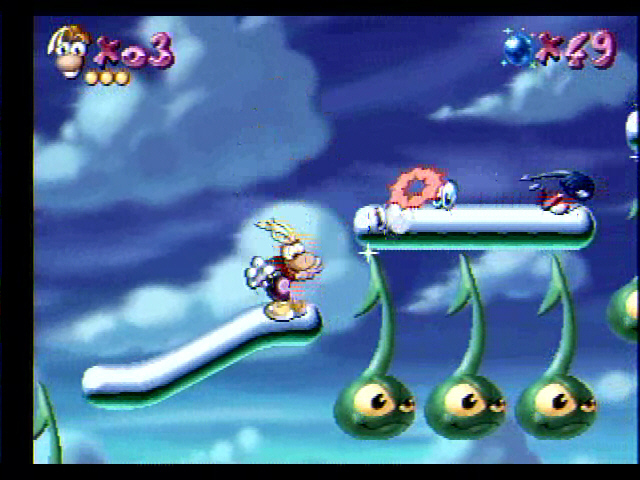 Multiplayer games will often have another section of the label that says "1 OR 2 PLAYERS" or something similar, depending on the possible number of players. 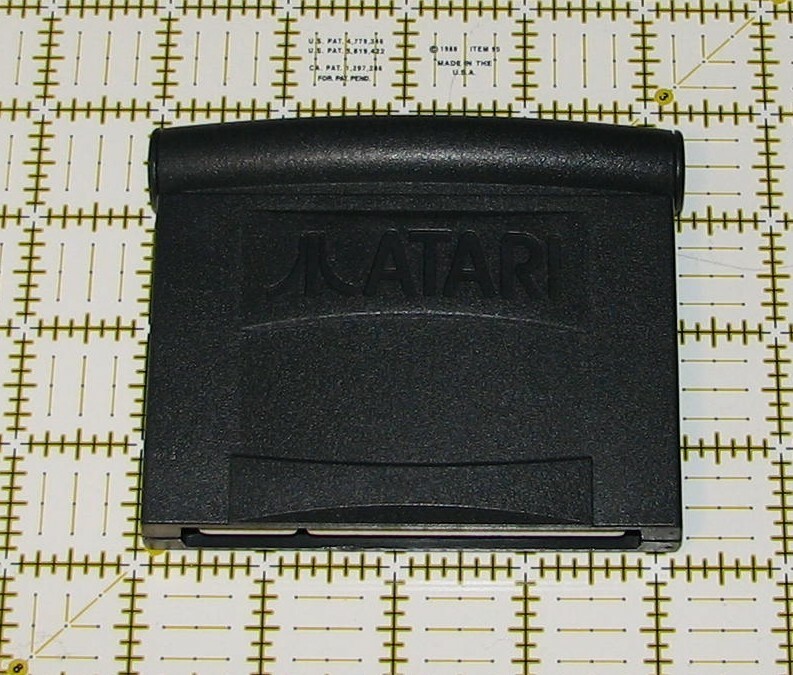 The back of the cartridge has a curved design that is sometimes smooth and sometimes embossed with the Atari logo and the word "ATARI". 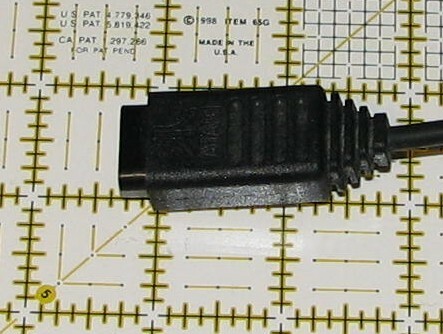 The cartridge connector is in two sections, one of which is about 2.5 in (6cm) long and the other is about .75 in (2cm) long. It appaears that there are two screws holding the case closed, located behind the upper left and upper right corners of the label. 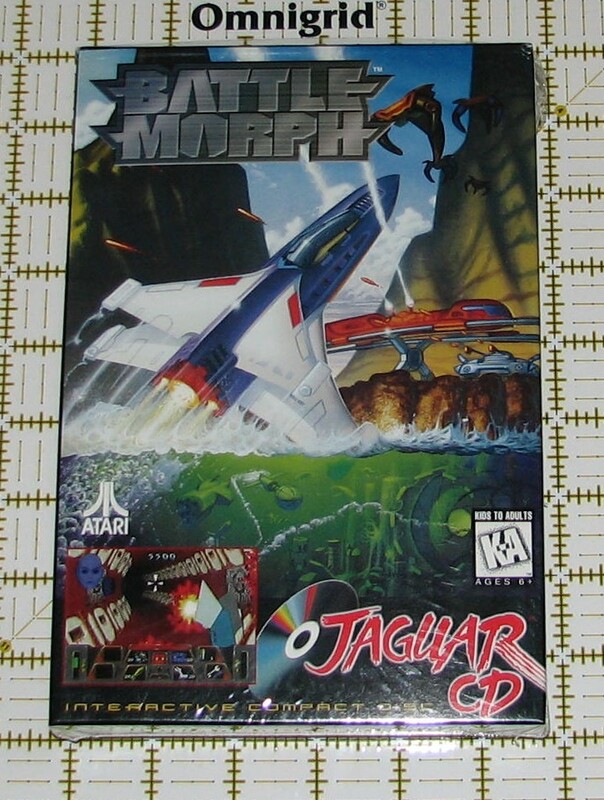 A Jaguar game box is mostly black. 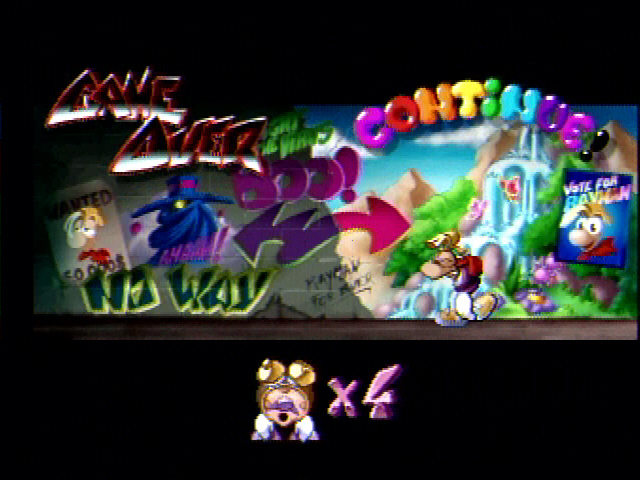 The front of the box is mostly taken up by a game-specific graphic. 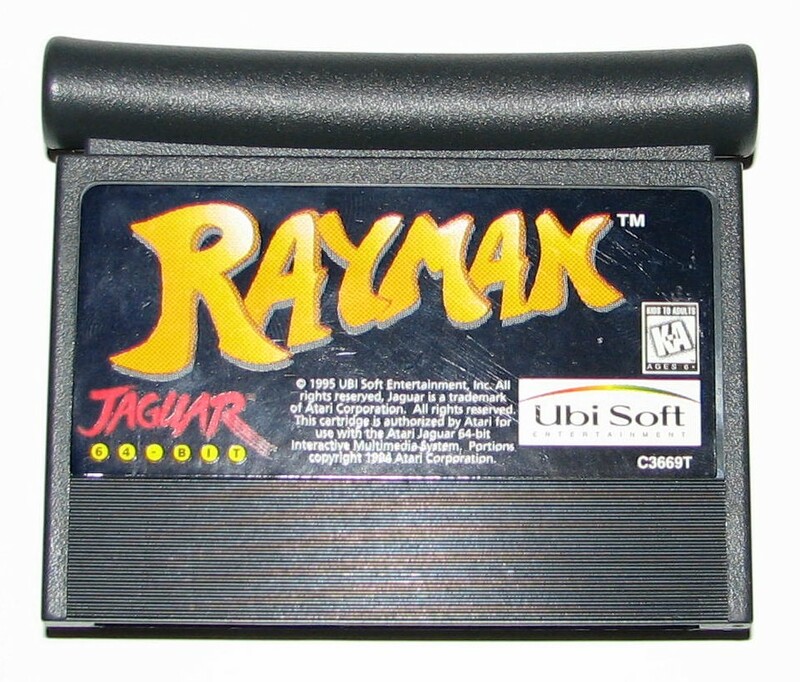 The bottom inch and a half of the front is a black stripe, containing a screen shot, the "Jaguar 64-BIT" logo, and the line "INTERACTIVE MULTIMEDIA CARTRIDGE". 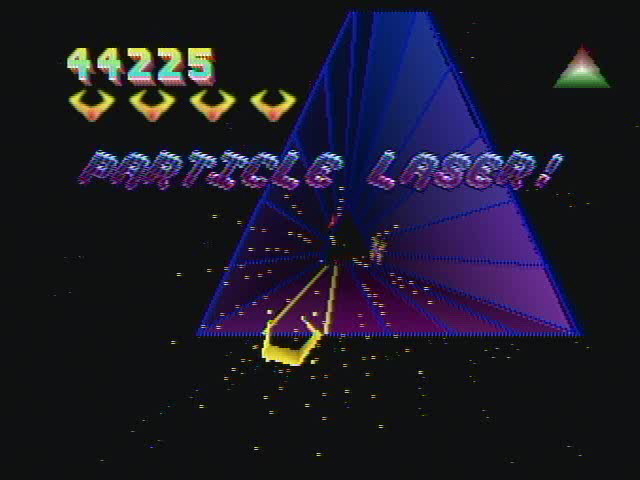 Also on the front are the Atari logo, and possibly the ESRB rating and the number of players. 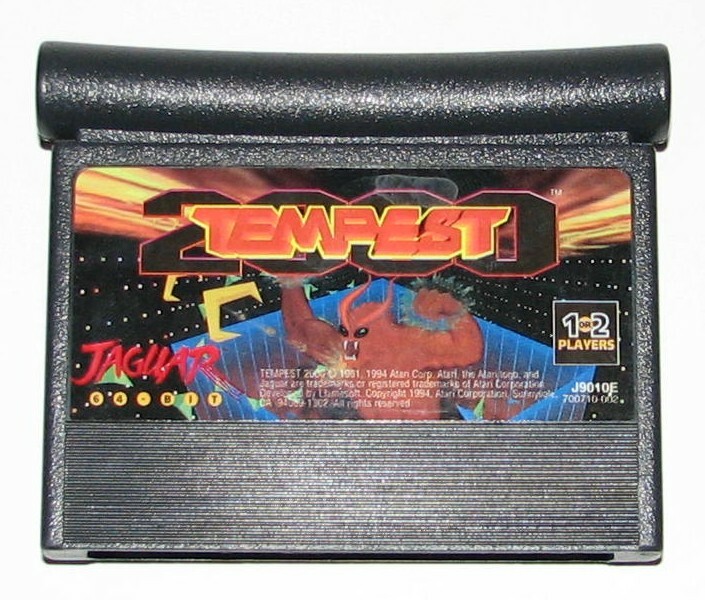 The left and right sides are identical, with the Atari logo, the "Jaguar 64-BIT" logo, a custom game title design, and the part number. The top of the box has the custom game title. 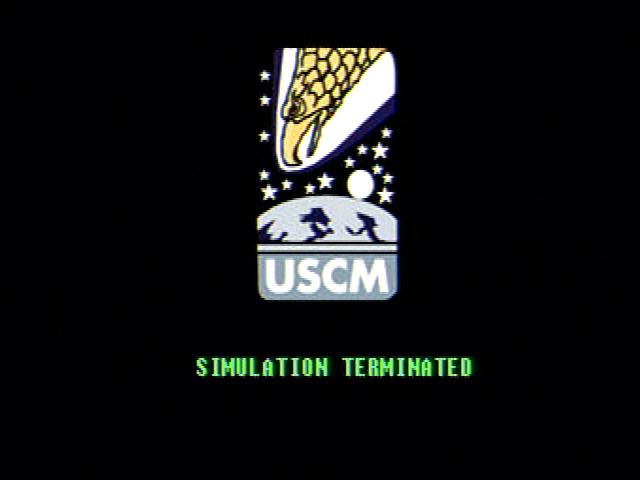 The bottom of the box sometimes has the game title, and sometimes has the UPC symbol, manufacturing information, and safety information. 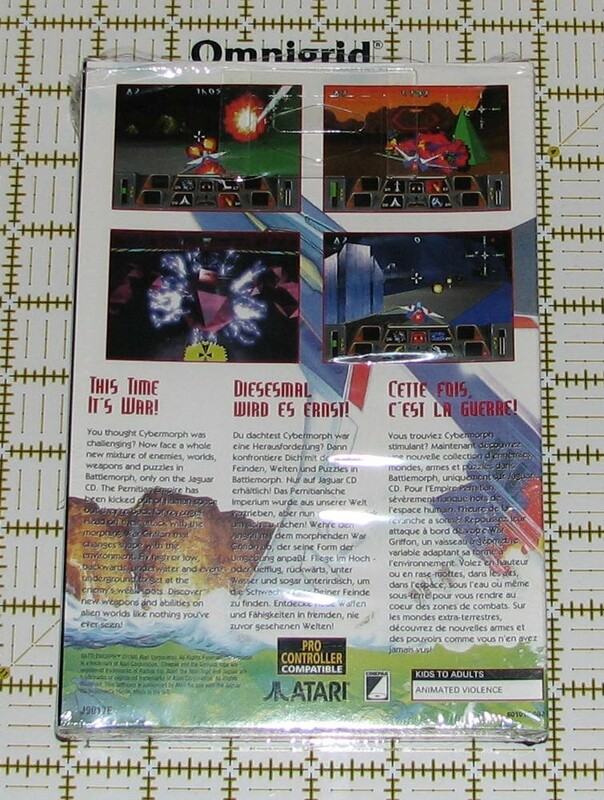 The back of the box has four screenshots at the top, a tag-line, followed by the game description blurb, copyright information, the Atari logo, part number. There may be an ESRB content descriptor. If the UPC symbol is not on the bottom of the box, it will be on the back. 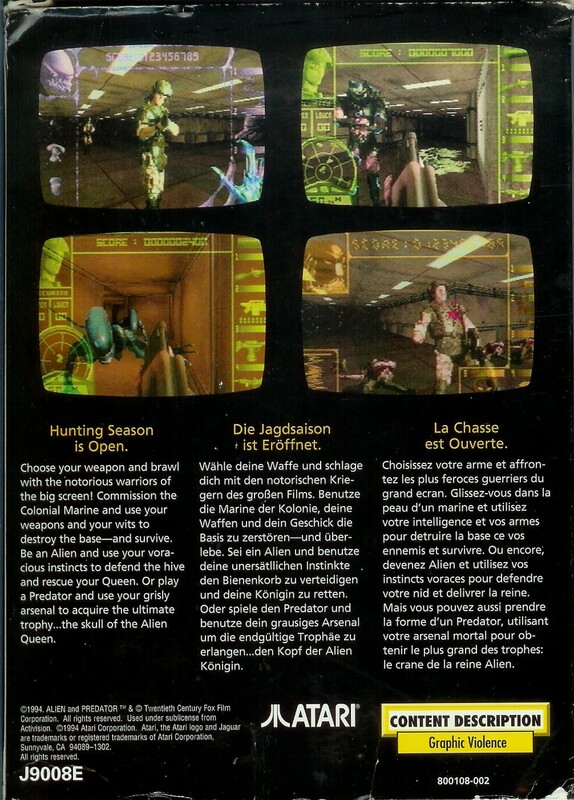 In some games, the tag-line and description blurb may be in multiple languages. Inside the box is a cardboard tray containing the cartridge. The manual is about the same size as the box. 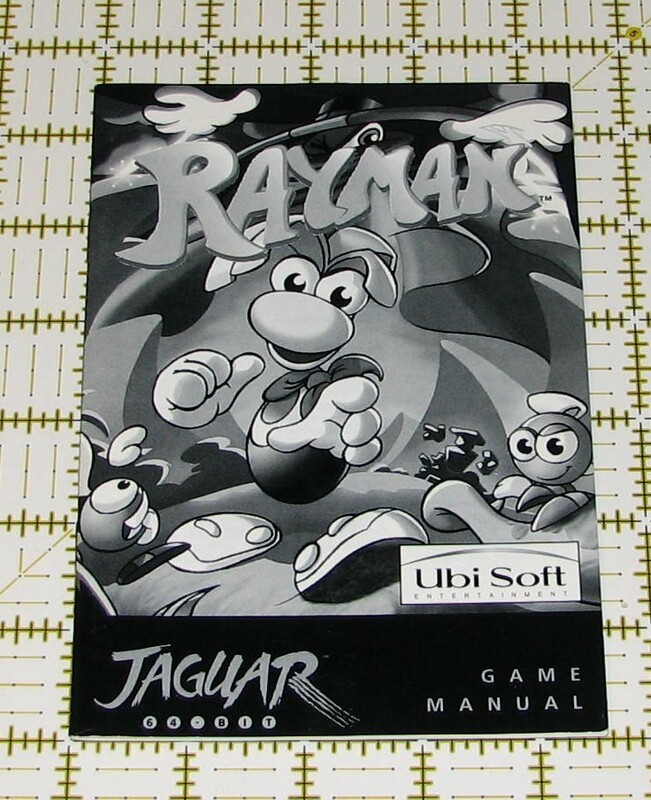 The front cover is usually a black and white representation of the game box, with the "Jaguar 64-BIT" logo in the lower left corner and the words "GAME MANUAL" in the lower right corner. 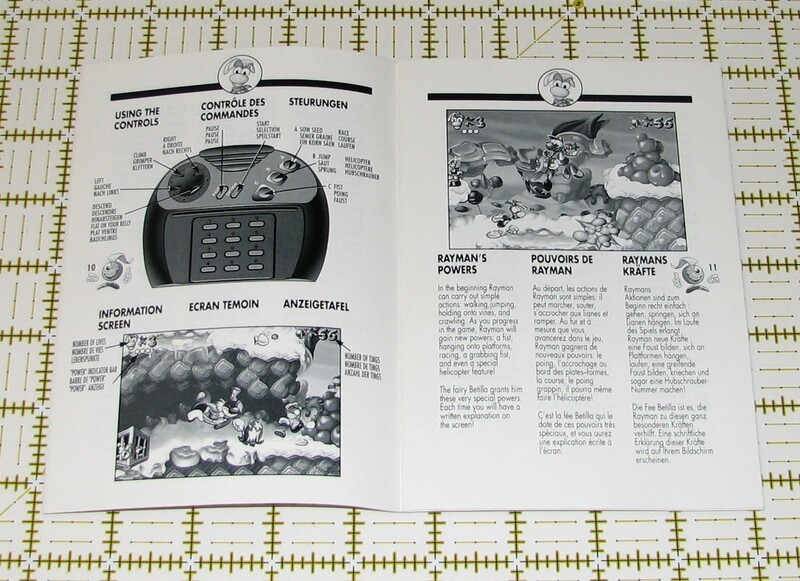 The back of the manual has claw marks across most of it, with the Atari logo and copyright information in the lower left corner and the part number and printing information in the lower right corner. In some cases, the manual will be multi-lingual, sometimes with multiple languages sharing a page, in other cases, with each language getting a separate section. 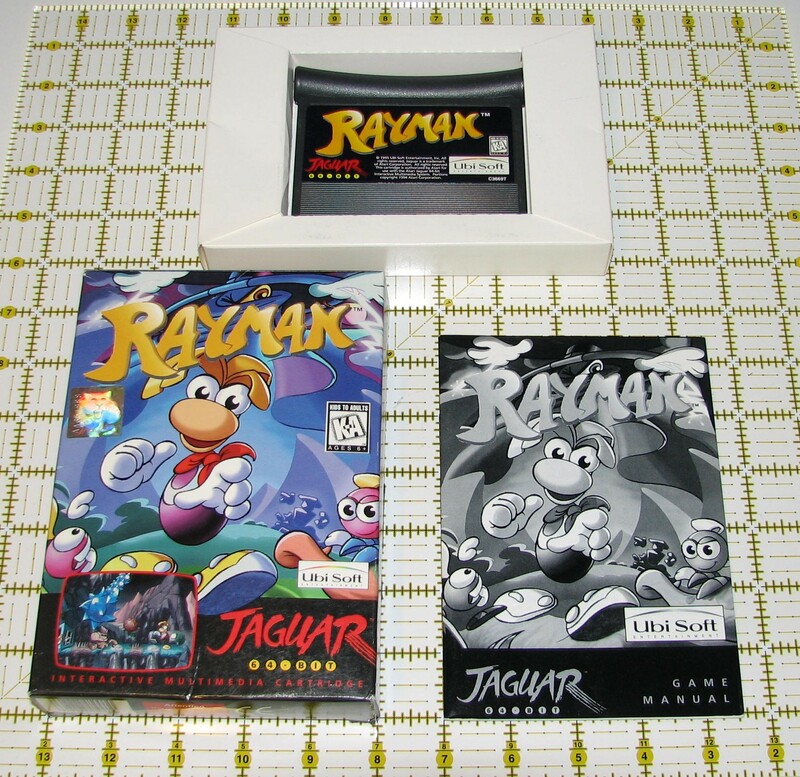 Jaguar CD game boxes are larger than their cartridge counterparts, measuring approx. 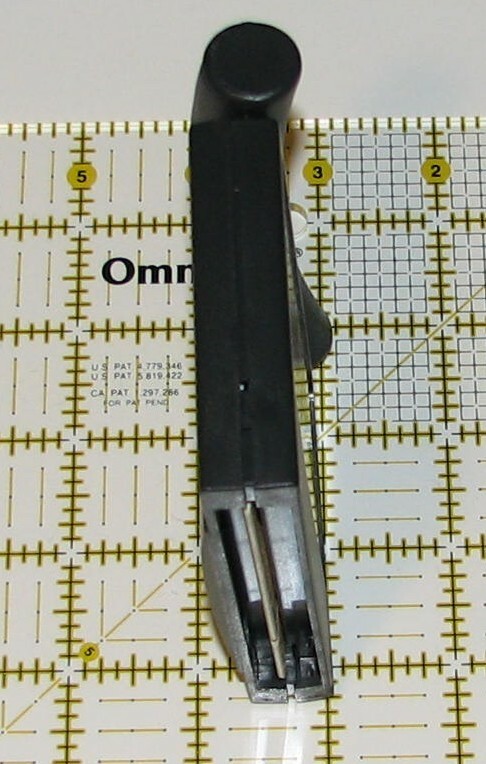 5.75in x 8.5in (14.5cm x 21.5cm). 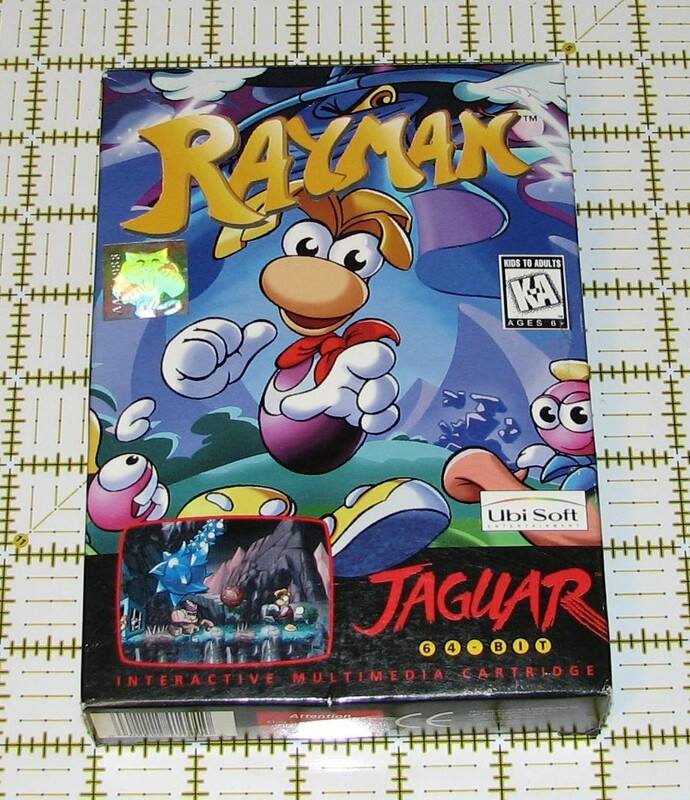 The bottom of the front of the box has a logo that reads "JAGUAR CD" and a line that says "INTERACTIVE COMPACT DISC". 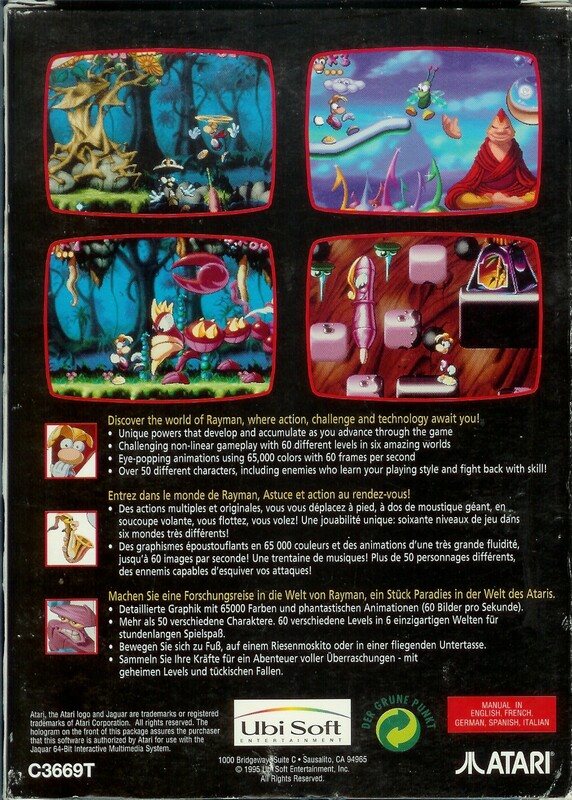 The disc comes in a three panel fold-out cardboard case which holds the controller overlays, the instruction manual, and the CD itself. The case is 5.5in x 5in x 0.5in (14cm x 12.5cm x 1cm). 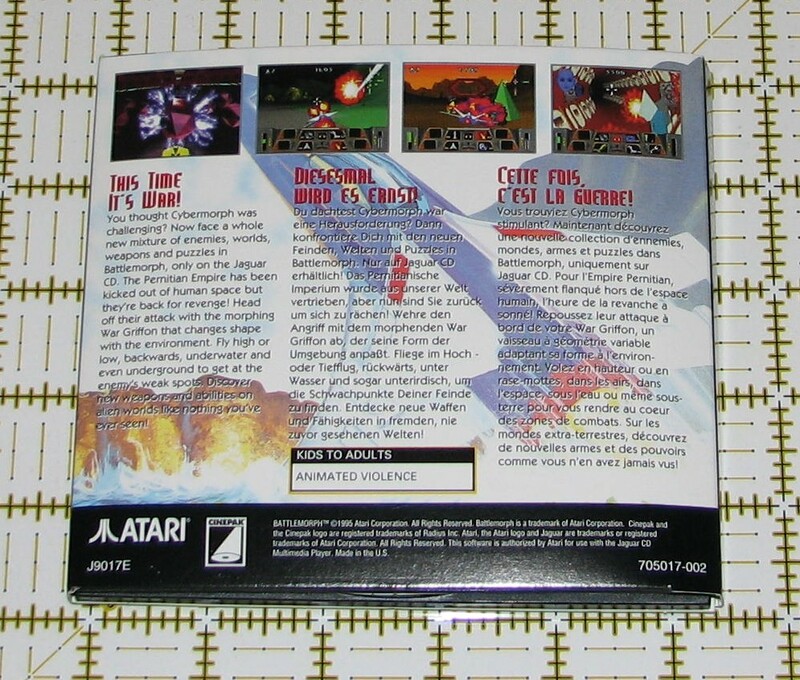 The front and back artwork of the case is essentially a shrunk and cropped copy of the graphics and text on front and the back of the main box. 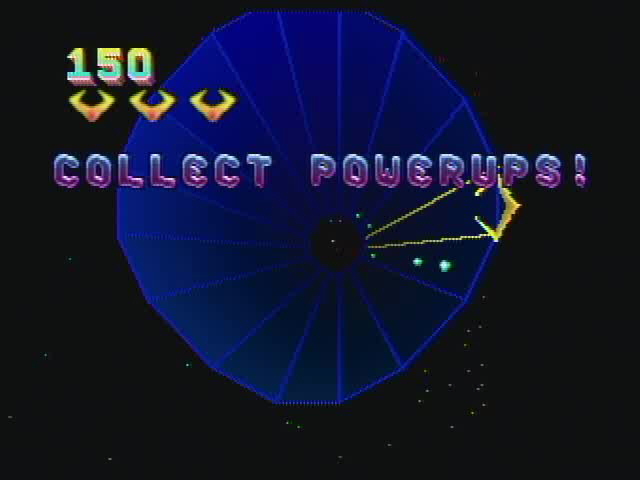 I'm not sure if Tempest 2000 has any kind of plot, but I know it wouldn't make any sense if it did. 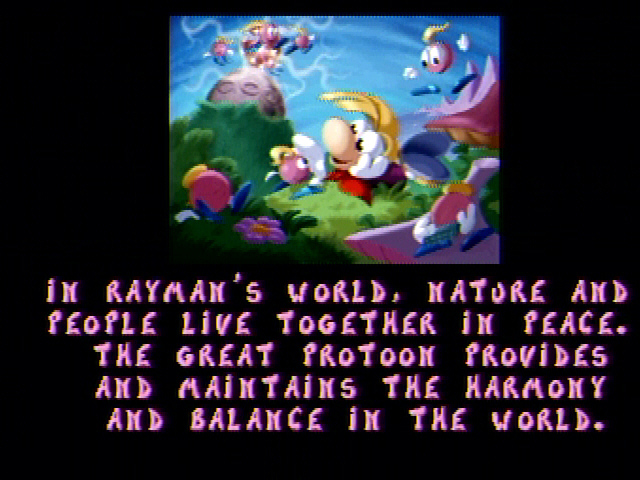 It takes place in the "hyperdelic, ultraviolent 64th Dimension", and that's all you need to know. 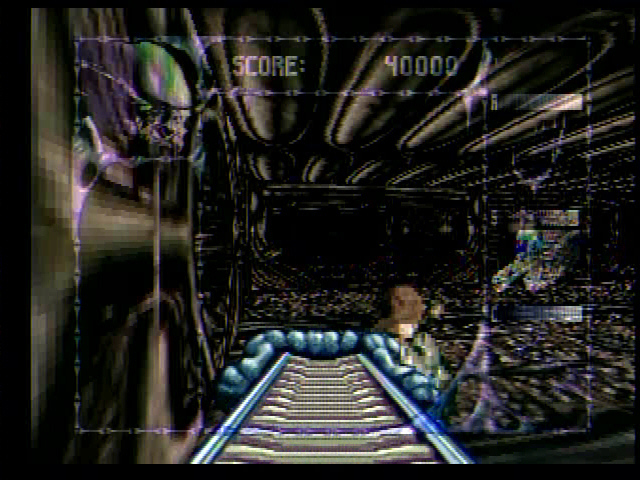 This game is all about high-speed insanity, trippy graphical effects, rave music, and points. Lots and lots of points. 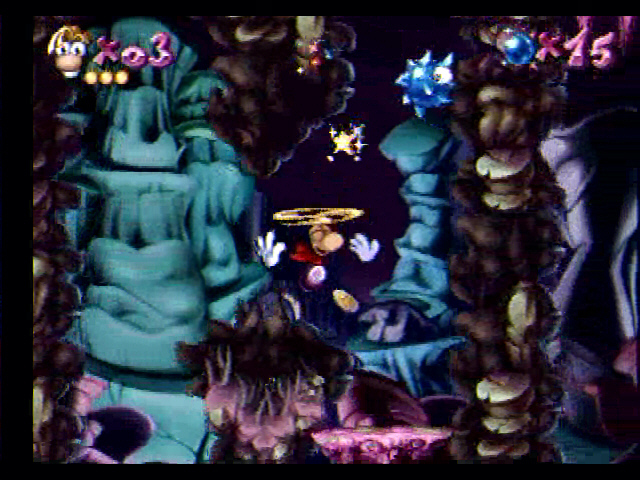 The game consists almost entirely of shooting at various creatures emerging from the center of the screen. Your movement is restricted to the top of the "Web", a 3D mesh that makes up the level. Some webs are complete, allowing you to rotate 360 degrees around the edge. Other webs have a break, forcing you to move back and forth. If you let a creature get to the top of the web, it will usually start crawling around the edge until it grabs you and pulls you down the hole, or otherwise kills you. In the first few levels, you can simply spin around the web with the fire button down and rack up the points, but that doesn't last long... 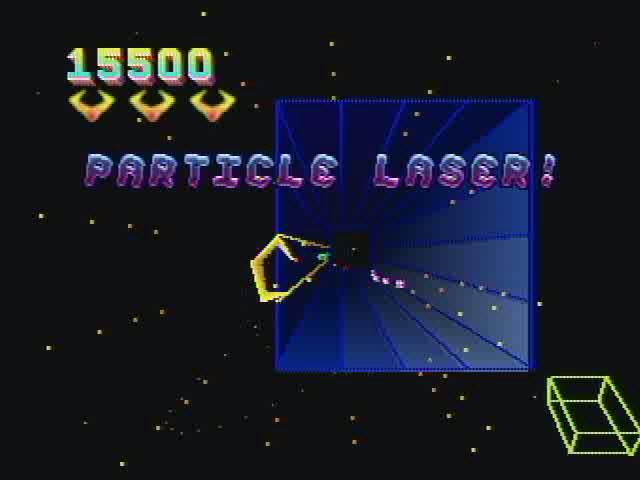 The game has a number of powerups, including a powered up laser, an ability to jump above the web, and even an AI Droid, who'll hover above you and unleash electric death on the creatures below. 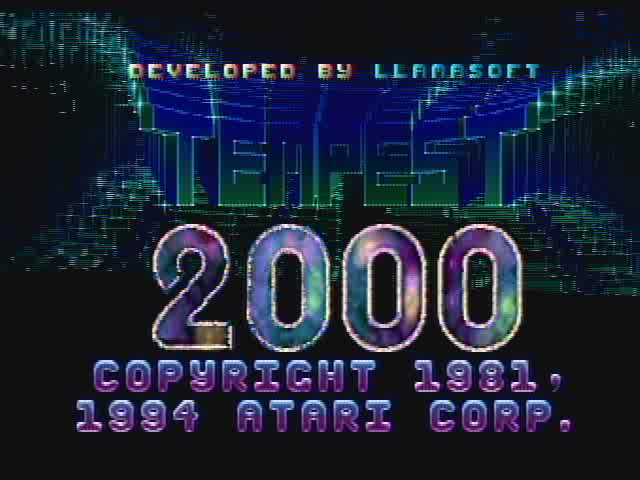 If you like games with constant non-stop shooting action, then take a look at Tempest 2000. If you like games with more to do than just beating the high score, then give this one a pass. 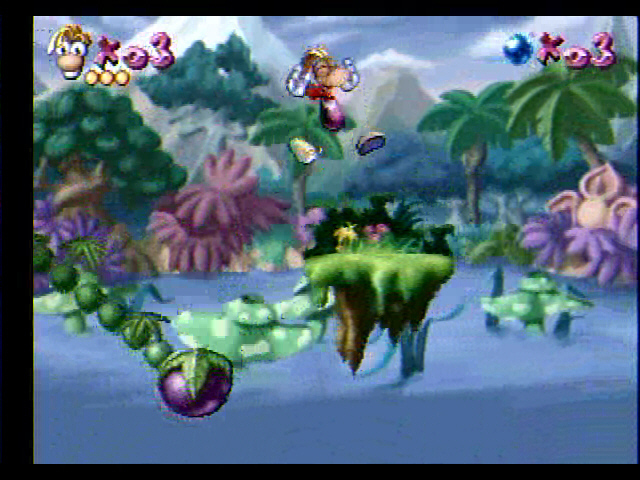 Rayman is a 2D side-scrolling platformer which takes place in a fantasy world. 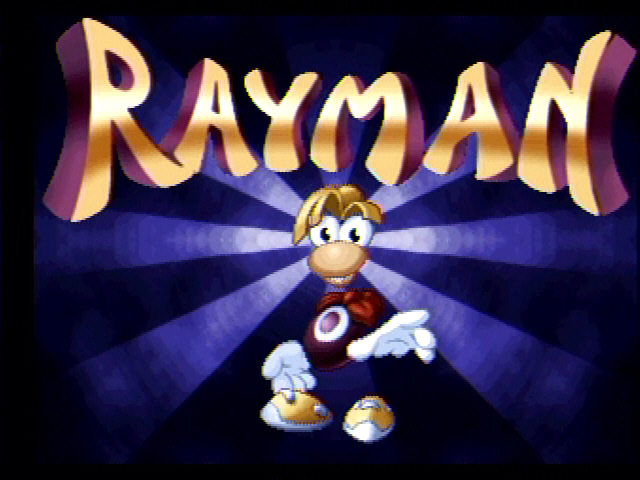 The main character, Rayman, has no arms, legs, or neck, everything just floats in place. 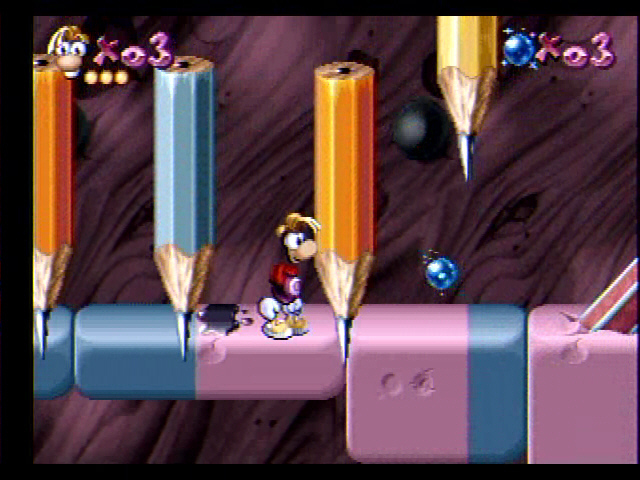 This is one of the most colorful games ever made. The blurb on the back says that it uses 65000 colors, and you could probably count every single one of them. Every screen looks like a painted work of art, with details popping out at you. 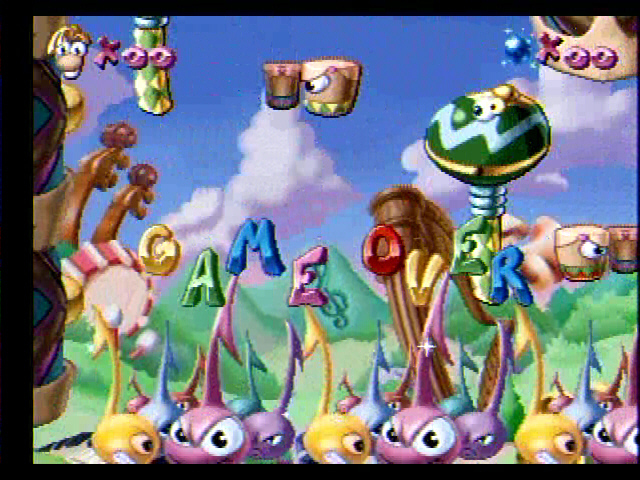 There's dancing mushrooms, wiggling tails (with bows!) on lily pads, and pretty much everything has eyes that watch you. 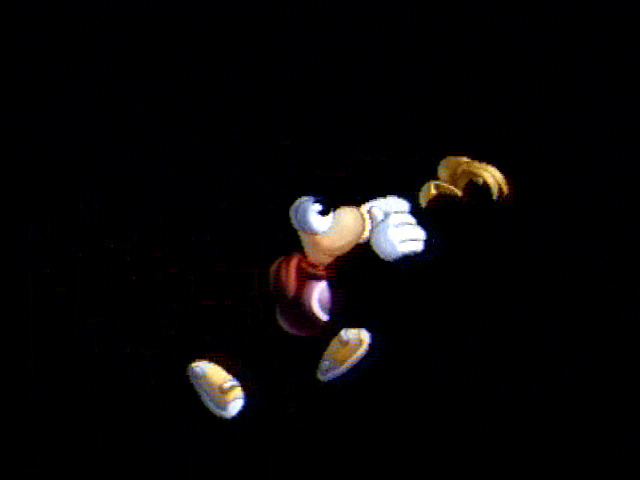 Character animation is incredibly smooth and detailed. If Walt Disney had been French, this would be the result. The game is simply beautiful. Of course, it's also hard. Really freaking hard. Don't expect young children to have any fun with this game at all, unless they're watching someone else play. It may look cute and cuddly, but it will bite you. 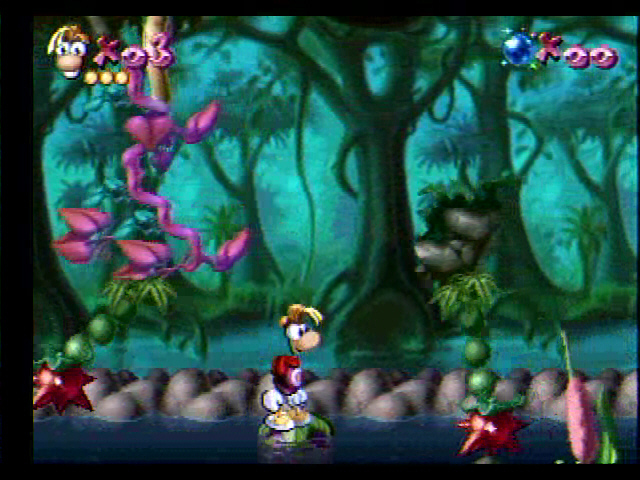 They're nice enough to give you a life meter with up to five hit points, but it hardly matters, since there's so many instant death pits and spikes and lakes scattered around the worlds, and plenty of enemies dancing around, ready to knock you into them. 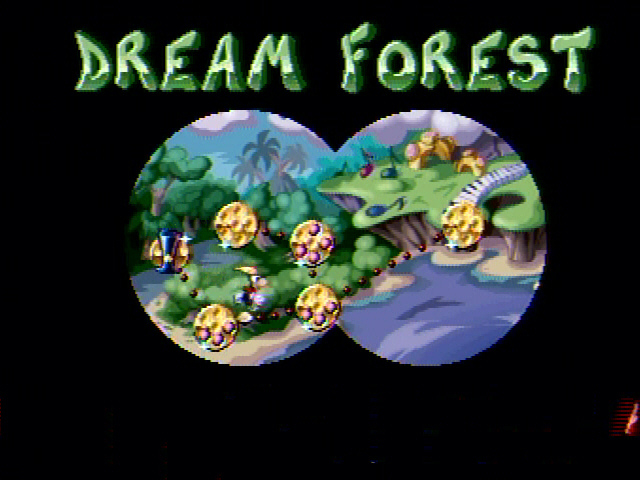 I'd strongly recommend finding the 99 Lives cheat code before trying to play this game. 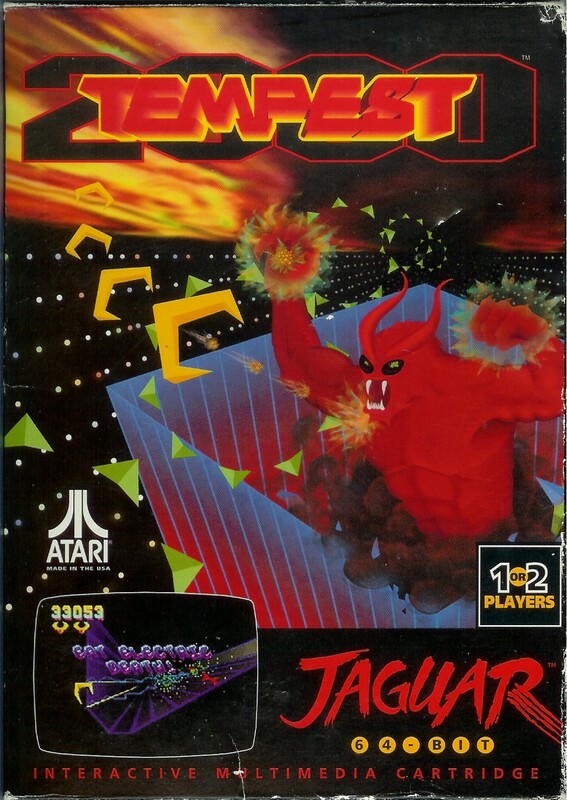 For people who didn't get into Tempest 2000, they probably got into this game. Alien vs. 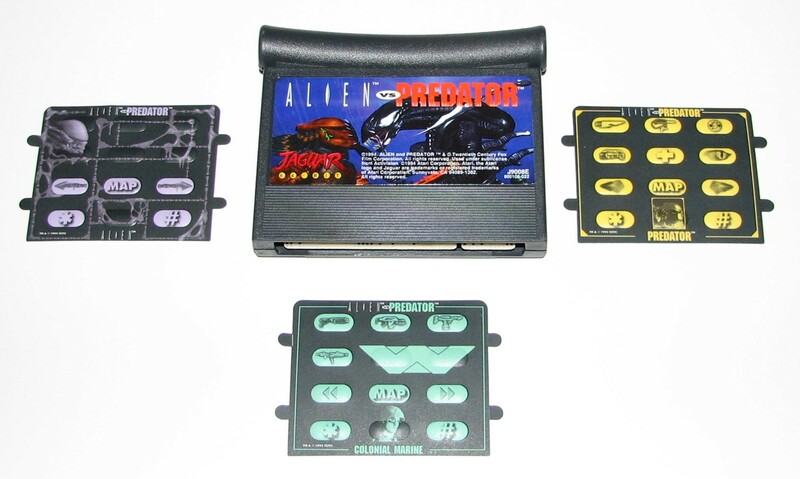 Predator is a first-person shooter, where you can choose between playing a Colonial Marine, an Alien, or a Predator. Each species has a different goal. The Predator wants to capture the Alien Queen, the Alien wants to rescue the Queen, while the Marines just want to blow the hell out of the Aliens and Predators and get out alive. 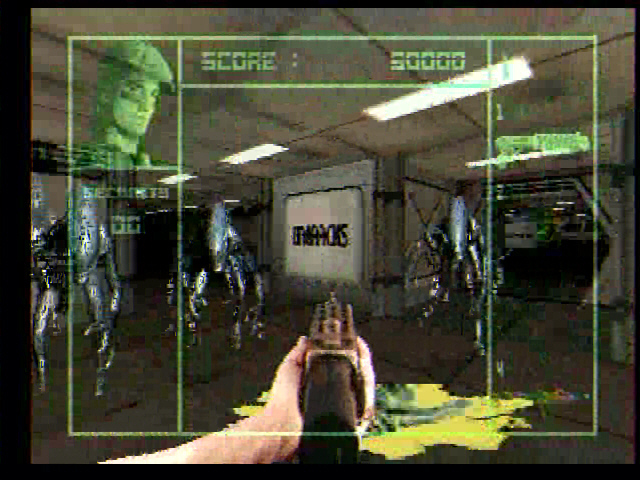 The Marine campaign is a straightfoward shooter, while the Alien and Predator games require special strategies to succeed. 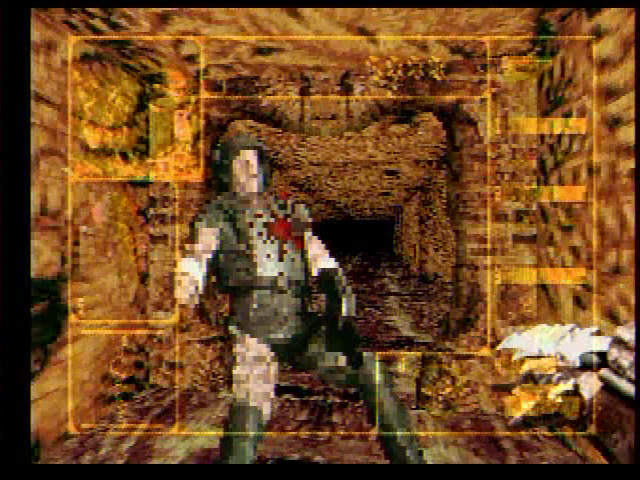 The game engine seems to be an evolution of the Wolfenstein engine, with every corner being 90 degrees and the world fitting into a perfect grid. 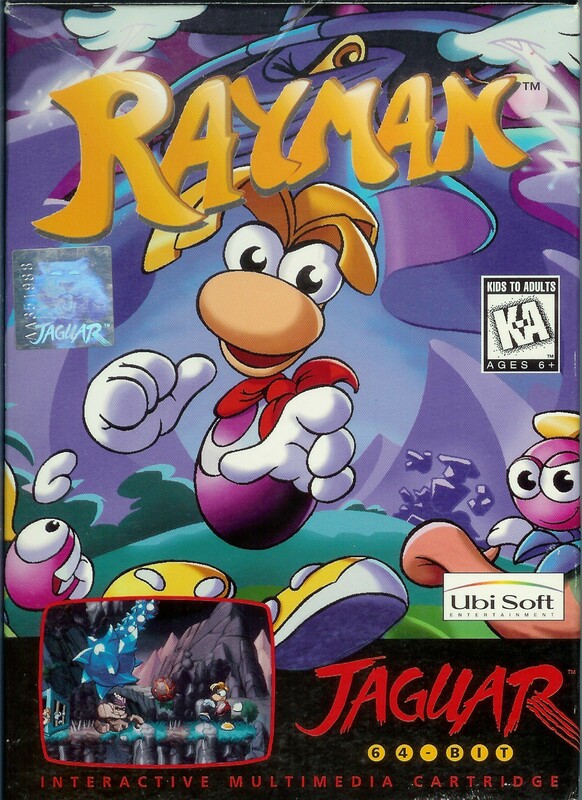 Many people consider this to be the best game on the Jaguar. 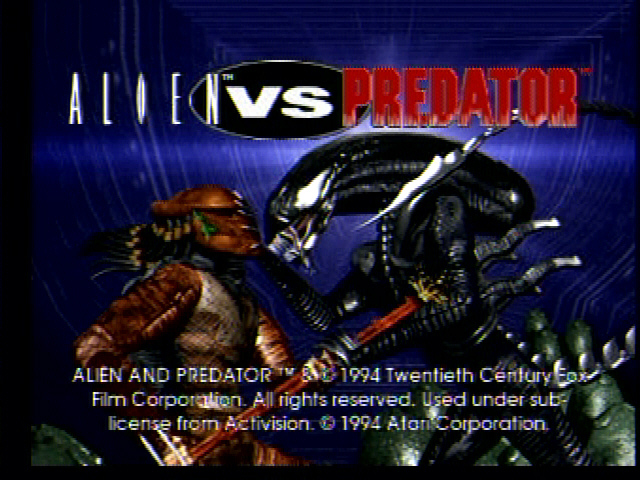 Thankfully, it is in no way affiliated with the AvP movie, other than sharing the source concept.